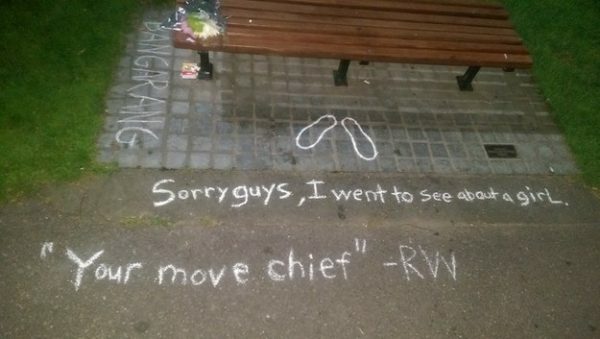 Robin Williams’ Fans Spontaneously Turned The “Good Will Hunting” Bench Into A Memorial! 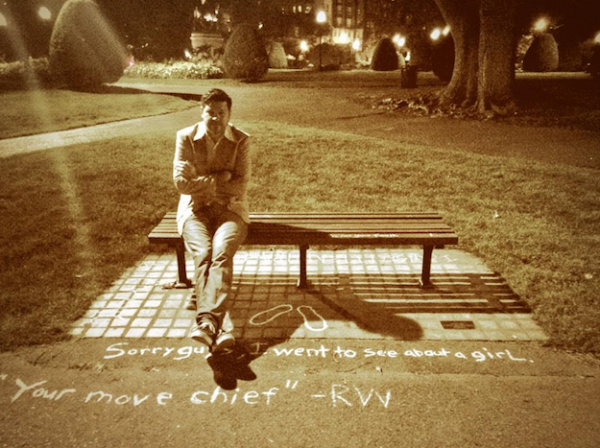 29-year-old Boston resident Nick Rabchenuk decided to head over to the Boston Public Gardens. 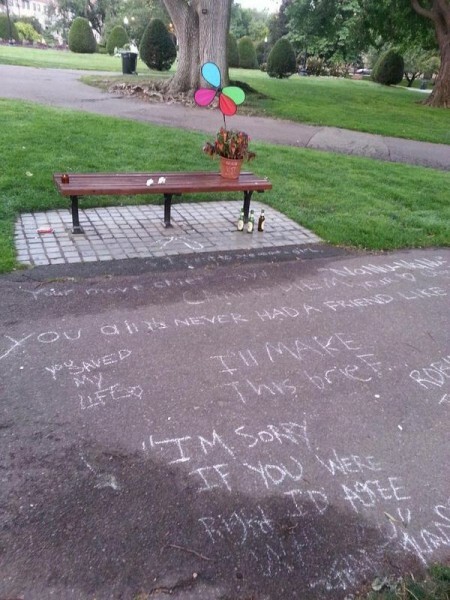 He wanted to bring flowers to the famous bench where Williams’ character sits with Matt Damon’s character in Good Will Hunting. 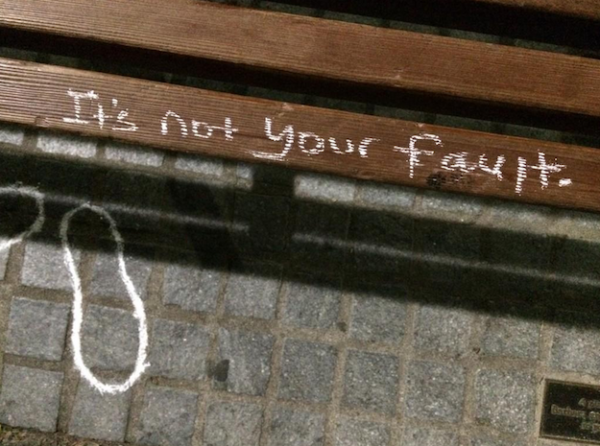 “I wrote the line from Good Will Hunting and traced my feet to represent his when he was sitting on the bench,” he said. A bunch of strangers all had the same idea to memorialize the late Robin Williams, and now they hope that others will do the same.